Falcon is pleased to work with talented architects, designers and project managers across the United States. These design professionals tackle a wide range of projects — from college classrooms to retirement homes. Each of them has a different approach to design, but they all seek to create spaces that foster a sense of community. Falcon is proud to offer a complete line of chairs, tables and booths that’s flexible enough to meet the varied needs of our customers. Icelandic designer Erla Sólveig Óskarsdóttir graduated with a diploma in industrial design from The Danish Design School in 1993. Since then she has lived and worked in Reykjavík as a freelance designer, focusing on furniture design. Along with working independently, she has collaborated with various production companies in Europe, Latin America and USA. Erla has participated in numerous exhibitions and many of her creations have been honored internationally. Rick Joutras is a Sr. Designer at Qdesign (Q) and Sr. Project Manager for Whitney Architects. Q specializes in product design and development for the contract market, while Whitney focuses on corporate interior architecture, both are located in Oak Brook, IL. The expertise of the Whitney team, with corporate interiors, assists the Q team in developing an understanding of what kinds of new product designs are needed for this market. What does Rick enjoy about his career? Rick said the toughest part of his job is convincing a client which way they should go, as well as keeping the project and process moving forward. Sometimes a project can get stalled when a client worries too much about the small details instead of the overall project. Tim Buchenberger is a Senior Designer at Qdesign (Q), an Oak Brook, IL firm whose business is product design. Q describes itself as “an edgy, one-stop-shop for product development” and credits its success to its “always-curious and exceptionally gifted people.” Their expertise, through sister company Whitney Architects(corporate interior architecture), provides them with the understanding of what products the marketplace needs for specific environments. Tim told us that product design at Q starts out in a couple of ways. Sometimes their clients give them a design brief describing a product or a particular need and application, other times they develop a design concept in-house and propose it to a manufacturer. Tim likes to encourage manufacturers to think outside the box, to introduce new, innovative products. Leslie Reinking is an interior designer for designTECH, a small firm based in Sacramento, California. After graduating from Sacramento State University in 2003, Leslie joined designTECH, where she had worked previously as an intern. The firm works on a wide range of projects that include senior living facilities, hotels and restaurants. Its team of designers seeks to put the aesthetic elements first, letting the design guide choices about furniture. Leslie has used Falcon tables in a number of projects throughout the course of her career. She has been especially drawn to Falcon’s flexibility, which allows her to adapt to the needs of her diverse set of clients. Leslie and her customers can take advantage of Falcon’s extensive product line and can call for custom pieces to meet specific design, spatial and functional needs. Because of this reality, and since many of Leslie’s projects are in high-traffic areas such as restaurants, everything that she uses must be built to last. “With this particular product, that’s what I think of first: Pricing and durability and long term use,” she said. Leslie said the relationship her team has with Falcon representatives is particularly helpful. “That is a huge help when specifying furniture is to have good support,” she said. For more about designTECH, please click here. Jan Edson,s an interior designer who owns and operates Edson Design in Playa del Rey, California. She has nearly 23 years of experience in the design field, with more than 15 of those years at her own firm. Throughout that time, Jan has specialized in higher education spaces. She has worked on projects at USC, UCLA, Loyola Marymount University, Rio Hondo College, the J.Paul Getty Trust, Brentwood School, and other large institutions, mainly located in Southern California. Jan has used Falcon’s MATS training tables for a wide spectrum of projects at Rio Hondo Community College, which is located just outside of Los Angeles. Rio Hondo had used Falcon products previously, and Jan has continued that standard, working closely with her Falcon representative. For this reason in particular, Falcon tables have been an ideal solution for Jan’s customer. “You can’t sell somebody something that won’t be there and won’t be around for them in five or even ten years. You’ve got to really think forward to what will really be around,” she said. For more information about Edson Design, email Jan.
Ritu Sohal is a project manager at Jarmel Kizel Architects and Engineers in Livingston, New Jersey. She holds a bachelor’s degree in architecture and a master’s degree in management from the New Jersey Institute of Technology. Ritu used Falcon tables while designing a New Jersey training center for a multinational corporation. The tables were installed in a 120-seat auditorium as well as in fourbreak-out meeting rooms, which hold 30 people each. Employees will use the spaces to collaborate and learn. Ritu, who says she favors contemporary design, was able to draw on Falcon’s wide range of products for this project. She strives to exceed the client’s expectations in every project. Her client wanted a modern space, and Falcon delivered. In fact, Ritu needed to create custom-sized tables to meet the needs of this particular space. “We asked Falcon to do mockups for us and they sent everything to us so we could look at the product before we bought it. Usually furniture manufacturers are kind of hesitant about doing that,” she said. Ritu says she was thrilled with Falcon’s ability to meet her exacting standards for design, timing, and pricing. And her client loves the final product. Lannetta has used Falcon products in more than half of her projects, and in a wide range of applications, from restaurant and food service areas to classrooms and offices. Because Lannetta deals with such a variety of projects, versatility is important. “The great thing about Falcon is that you can do custom projects,” she said. Often, she needs to create pieces that match specific design and space requirements. In those instances, Lannetta turns to Falcon’s extensive product line and tweaks the chair, table, or booth to her particular needs. Keri Moore is an interior designer at Studio Six5, an Austin, Texas, company that focuses exclusively on design elements for senior living communities. The firm works on large projects across the United States, providing design leadership for facilities that provide all levels of care for seniors, from retirement to end-of-life care. 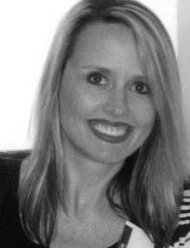 Keri received a bachelor’s degree in interior design from Texas State University and worked at Studio Six5 as an intern during her senior year of college. Since Keri joined the company full-time in 2007, she’s used Falcon products in almost every project in which she’s participated. The communities Studio Six5 designs have a hospitality and residential feel. “You really don’t know you’re in a retirement community until you see older people walking around,” said Keri. That makes it especially important to utilize products that are elegant yet comfortable. Half of Studio Six5’s business revolves around making purchasing, and multi-million-dollar projects are a regular part of life at this successful and growing firm. Keri has partnered with Falcon primarily for dining tables to use in continuing care retirement communities. She also has used Falcon’s tables and molded plastic chairs in multipurpose rooms, training areas and employee break rooms. She said she is especially drawn to Falcon’s durability and the ease with which custom orders can be completed. “Hands down they’re the best supplier that we have for that type of product,” she said about Falcon. Keri has a great relationship with her Falcon representative, who is able to deliver fast, accurate pricing quotes. Plus, Falcon offers flexible products – something that’s vital for a designer who moves from equipping dining areas to art rooms to beauty salons in a single project.